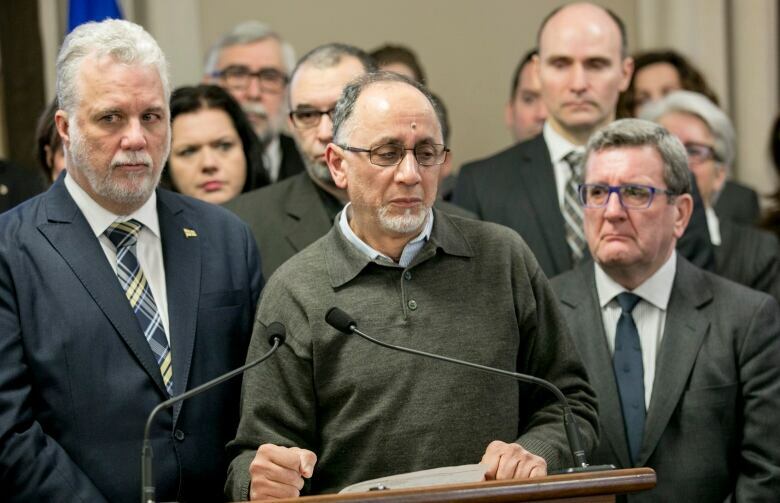 Both the Parti Québécois and Coalition Avenir Québec have come out against a proposal made last week by the National Council of Canadian Muslims. Nearly a year after six Muslim men were gunned down in a Quebec City mosque, political leaders are still struggling to reach agreement on how to commemorate the attack. 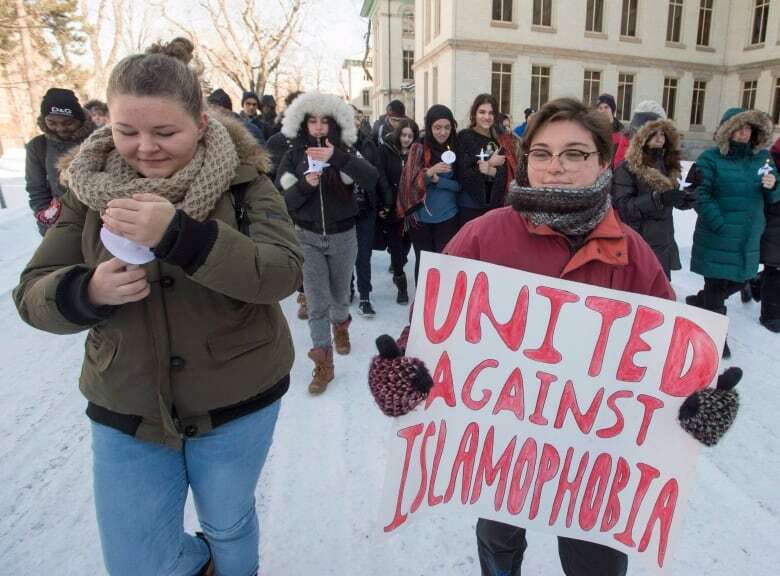 Both the Parti Québécois and Coalition Avenir Québec, the province's two main opposition parties, have come out against a proposal made last week by the National Council of Canadian Muslims, taking issue with the idea that the day should be devoted to action against Islamophobia. CAQ spokesperson Samuel Poulin said that, instead, the anniversary should be "dedicated to commemorating the memory of the victims of this terrible tragedy." "It is the intolerable act of one person and not that of an entire society. Quebecers are open and welcoming, they are not Islamophobic," he said in a statement. The PQ contends the term Islamophobia is too controversial, and points out there is already an international day for the elimination of racial discrimination. Spokesperson Bruno-Pierre Cyr said the party does, however, support a day of commemoration to mark the day of the attack, which he called a "despicable gesture." 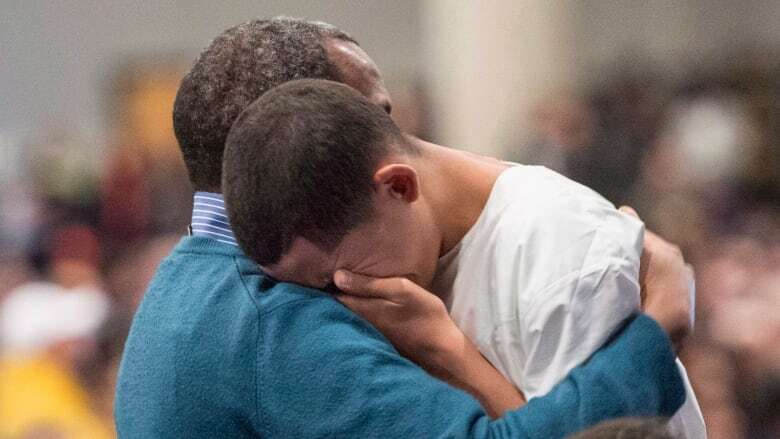 Six Muslim men were shot and killed and 19 others were wounded in an attack on the mosque during prayers last Jan. 29. Alexandre Bissonnette of Quebec City is to stand trial in March on six charges each of first-degree murder and attempted murder. Quebec's Liberal government said it is open to the council's proposal, but hasn't made any firm commitment. In a year-end interview, Premier Philippe Couillard told CBC's Debra Arbec he plans to table a motion to express solidarity with the Muslim community when the National Assembly resumes in February, after the anniversary has passed. ​"I suspect it will be adopted unanimously," he said last month. The PQ is the largest opposition party in the Quebec legislature, holding 28 out of 125 total seats, while the CAQ has 21 seats. Quebec is holding provincial elections this October. A smaller opposition party, Québec Solidaire, which holds three seats in the National Assembly, has said it supports the proposal. The federal government said in a statement it has "received and noted" the proposal from the National Council of Canadian Muslims. "We must condemn all forms of discrimination including Islamophobia," the statement from office of the minister of Canadian Heritage said. Razia Hamidi, the Montreal representative for the National Council of Canadian Muslims, said Tuesday that criticism of the proposal is misguided. Designating a day to counter Islamophobia isn't meant to suggest all Quebecers are Islamophobic, she told CBC Montreal's Daybreak. Instead, she said, it would "enable a broader conversation about how to address underlying issues" in society. Like the national council, Boufeldja Benabdallah, vice-president of the Quebec City mosque, wants the anniversary of the shooting to be more than just a commemoration. He said the government should take concrete steps to "encourage inclusion" and ensure nothing like the attack ever happens again.